As a child, Molly (Perkins) was sexually abused by her father. As an adult, Molly works in a bar called the Boathouse, and is in a relationship with the owner, Long John (Chapman). She has a sister, Cathy (Brown), and two young nephews she adores, Tadd (Camps) and Triploi (Livingston). She regales her nephews with tales of their grandfather and what a kind, loving man he was, a captain of a ship who was lost at sea when she was much younger. The two boys believe her stories completely, but these fantasies are indicative of the struggle that Molly is having in dealing with the psychological trauma of her childhood. 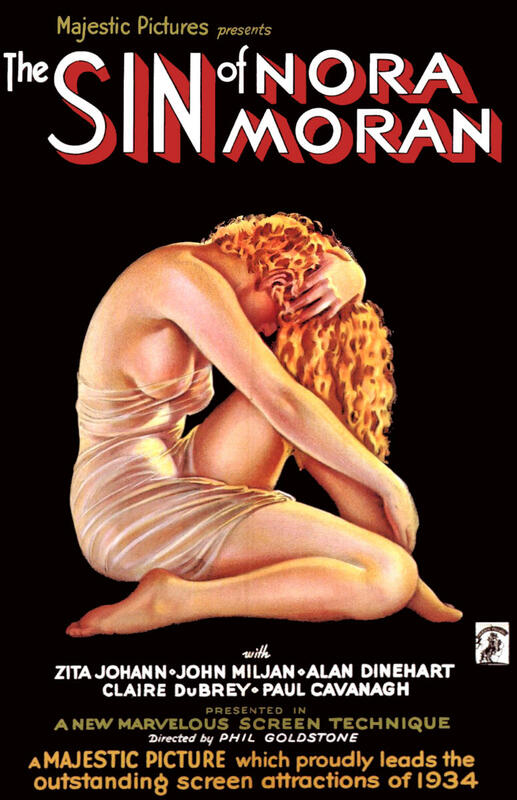 She experiences a fever dream in which she kills two famous football players, but when the two men are found dead, Molly faces an even greater struggle to stop herself from falling victim to the murderous rages that come over her whenever she’s around men who remind her of her father, or who project a certain masculine image through television adverts. 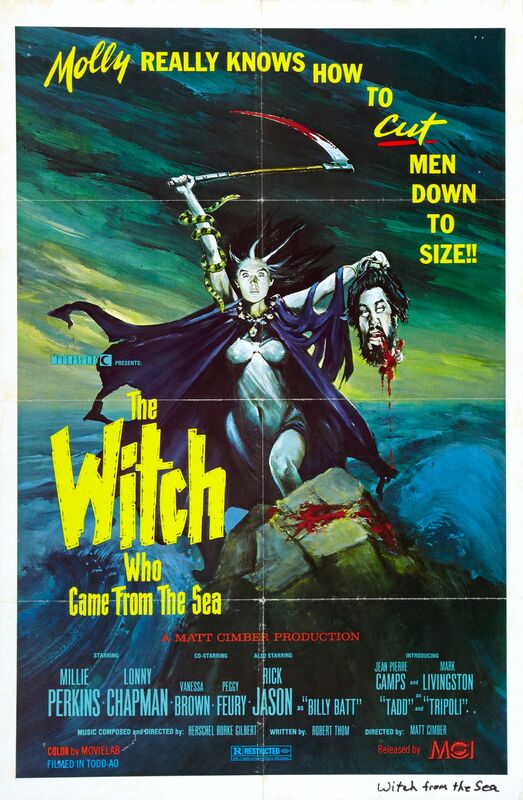 A movie that was once regarded in the UK as a “video nasty”, The Witch Who Came from the Sea is an under-rated psychological thriller (with horror overtones) that charts one woman’s descent into madness in a way that is both haunting and disturbing. The movie is directed with great skill by Cimber, and there’s a terrific central performance from Perkins, but the key player here is sceenwriter Robert Thom. 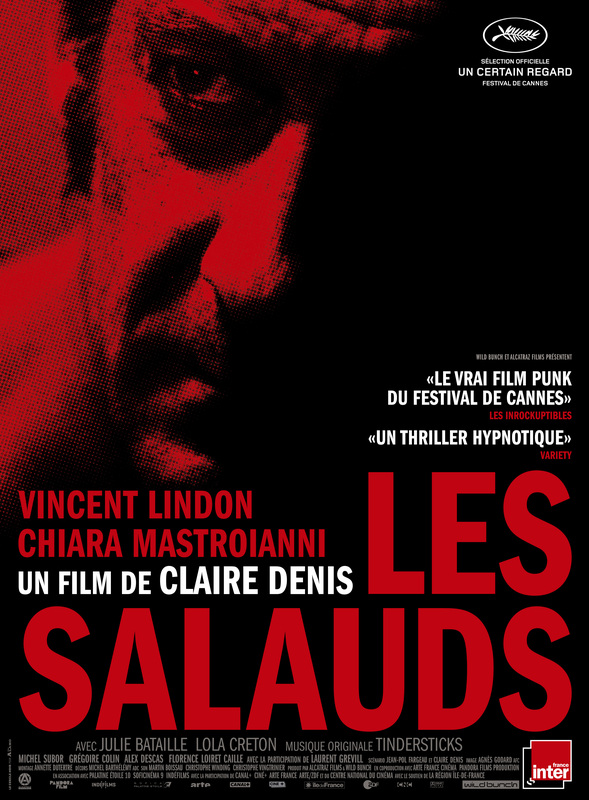 During the Seventies, Thom wrote the screenplays for Bloody Mama (1970), Death Race 2000 (1975), this, and several others. All were low budget movies that like this one, thrived on Thom’s ability to exceed audience expectations thanks to his unerring ability to ground even the most extreme incidents, and his sharp ear for dialogue. Thom started out writing for the theatre, and there are moments where the movie feels like it’s a play that has been adapted for the screen. This gives the movie a greater sense of depth, and a greater sense of tragedy as events unfold. As Molly drifts between reality and fantasy, and becomes increasingly unable to differentiate between the two, Thom’s layered screenplay, Perkins’ bold portrayal, and Cimber’s restrained yet visceral direction, combine to create a movie that is hard to look away from – but in a good way. For an actress who has never been entirely comfortable with the trappings of being an actress, Perkins gives a formdiable performance, investing Molly with a forlorn, anxious appearance that affords glimpses of self-awareness in amongst her mostly irrational behaviour. She’s also able to make Molly’s dialogue sound at times like an interior monologue, an effect that further illustrates the emotional and psychological dysfunction she’s experiencing. Perkins is provided with fine support from the likes of Chapman, Brown and Feury (as another Boathouse waitress who provides Molly with “pharmaceutical assistance”), and Cimber ensures that even the smallest of roles fits in neatly with the overall scenario. The visual look of the movie is quite subdued, with mostly grey and brown tones used throughout, but the cinematography – by Ken Gibb and Dean Cundey – is a good match for the dark emotional undercurrents that pepper the screenplay. Also effective is the decision to distort the audio during those sequences when Molly can’t tell if she’s fantasising about killing someone, or is actually doing it. It’s all done very cleverly, and takes the movie far from the exploitation trappings that viewers might be expecting. Rating: 8/10 – far better than it perhaps has any right to be on paper, The Witch Who Came from the Sea is a first-rate psychological thriller that is unsettling, and oppressive, for much of its running time; Perkins gives an exceptional performance, and the whole tortured narrative feels disarmingly organic, with any missteps serving only to highlight just how good this movie is, and how well it’s been put together. Some movies catch you by surprise, literally as you’re watching them. Sometimes it’s like a switch going on inside your head, a moment when everything suddenly falls into place, or is lit up like the night sky at a fireworks party. Everything about what you’re seeing and hearing now makes perfect sense, and everything continues in that same vein, rewarding you more and more and more. 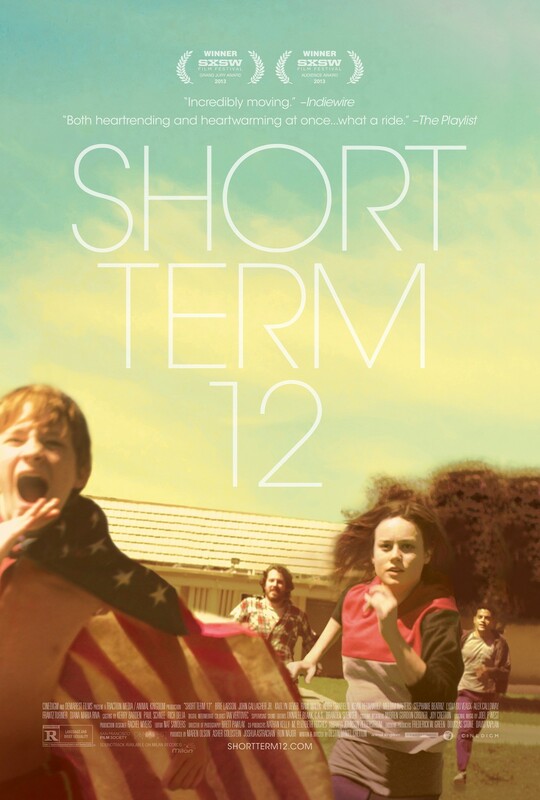 Short Term 12 is one of those movies, a small-scale, low budget feature expanded by its writer/director, Destin Daniel Cretton, from his 2009 short movie of the same name. 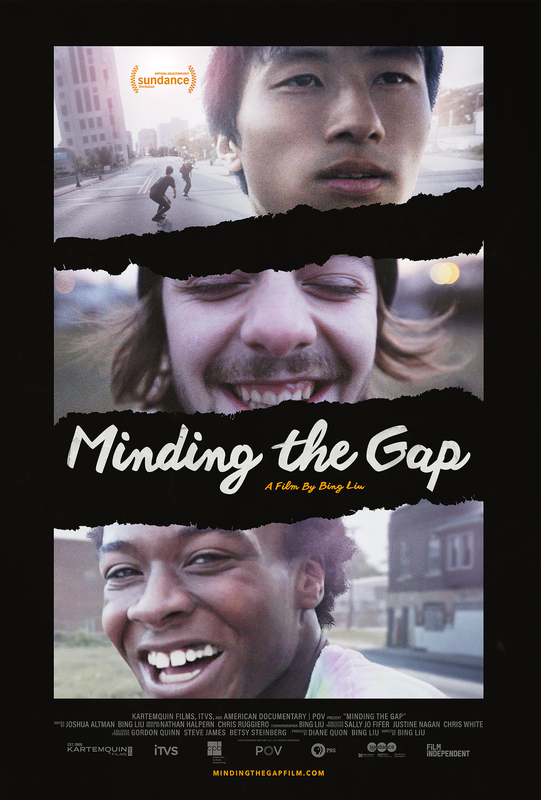 It begins simply enough at a group home for troubled teenagers, with new member of staff, Nate (Malek), being regaled on his first day at work with a story that involves a runaway teen, a support worker, and an unfortunate bowel problem. It’s a funny story, well told by the support worker himself, Mason (Gallagher Jr), but interrupted by an attempt at escaping by one of the children. As the day progresses we’re introduced to the home’s facilitator, Jack (Turner), who advises another of the support workers, Grace (Larson) that a new girl, Jayden (Dever), will be coming to stay for a while. Grace already has plenty of children to look after at the home, from nearly eighteen year old and ready to leave Marcus (Stanfield), to the would-be escapee, Sammy (Calloway). Away from the home she and Mason are in a relationship, but Grace has recently discovered that she’s pregnant, something she hasn’t told him or anyone else. As she deals with that issue, Jayden’s arrival and her background cause Grace to assess her own past, something that she hasn’t done for some time (she and Jayden share similarities in behaviour and the emotional trauma they’ve experienced). She and Jayden start to get to know each other, but it’s not all plain sailing. Grace eventually tells Mason that she’s pregnant, and though he’s initially shocked, he’s pleased as well, and at a party to honour Mason’s foster parents he asks Grace to marry him. She accepts, but the next day her happiness is deflated by news relating to her father. The news upsets her, but not as much as the news that the previous night, Jayden was collected by her father and won’t be returning. She berates her boss and nearly loses her job over it. Things become even worse when one of the children tries to commit suicide. With everything piling on top of her, Grace becomes withdrawn and uncommunicative with Mason, and tells him she can’t marry him or have his child. But hope comes in an unexpected form, as Grace makes one last effort to help Jayden, and by extension, herself as well. A movie about the staff and children at a group care home that could have turned out to be mawkish, unconvincing, and trite, instead is sincere, moving, and pleasantly unsentimental. 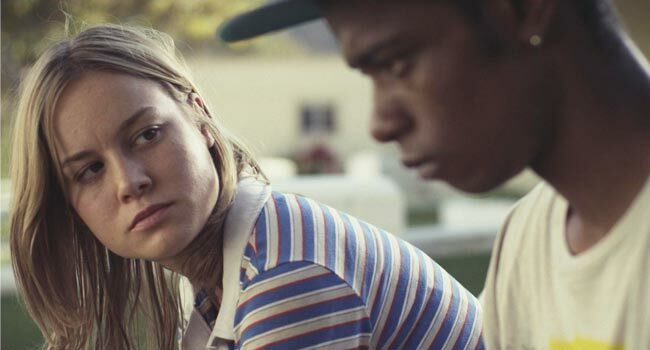 Based on writer/director Cretton’s own experiences working at a group facility for teenagers for two years, Short Term 12 (the name of the home) is a marvel of concise, effective storytelling, restrained yet emotive direction, and features a clutch of heartfelt, honest performances. It’s a movie that avoids the cliché trap with ease, and never once talks down to its audience or undermines its characters by making their issues and problems stereotypical or sensational. From Sammy’s borderline autism to the abuse Jayden is subject to, each child is given a background and a history that informs their behaviour and neutralises any notion that their actions aren’t credible. Cretton found most of the children through open casting calls (Stansfield is the only returnee from the 2009 version), and it’s a tribute to the casting team of Kerry Barden, Rich Delia and Paul Schnee that they were able to find so many children with little or no acting experience who were able to portray these characters in such a realistic manner. But ultimately, and with no disrespect to Gallagher Jr or Dever, who both put in exemplary work, this is Larson’s movie, pure and simple. She is simply magnificent in her first leading role, imbuing Grace with a caring, resilient nature that’s slowly eroded by the overwhelming feelings that she tries so hard to avoid or ignore, feelings that are brought to the fore by becoming pregnant and meeting Jayden. Larson offers a performance that is never less than truthful, and which is fearless in presenting the emotional devastation that Grace experiences, and the pain that keeps her from enjoying any happiness beyond helping the children at the home. And as Larson explores the depths of Grace’s increasingly dissociative behaviour, she also ensures that the lifeline offered to her by helping Jayden isn’t taken up for purely selfish reasons but because Grace genuinely needs and wants to help others like her. Just the various degrees of subtlety that Larson employs is impressive enough, but she also transforms herself physically, turning in on herself as things get worse for Grace and her survivor’s guilt begins to gnaw at her. She’s aided by Cretton’s decision to frame her in close up for much of the movie, so that we get to see in detail the effect everything is having on her. 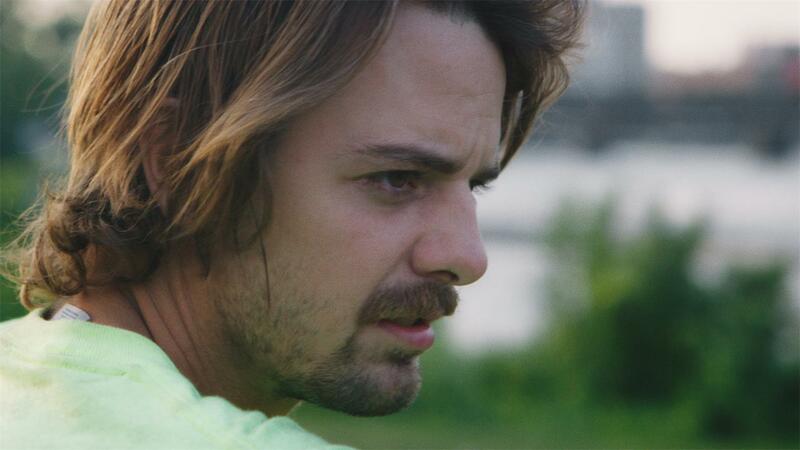 Making only his second feature, Cretton shows an assurance and a confidence in the material that some directors who’ve been making movies for far longer never achieve. In conjunction with DoP Brett Pawlak, Cretton uses a hand-held camera to tremendous effect, following his characters around as they peer into rooms and travel down hallways and gather together at break times to shoot the breeze and reestablish some sense of normalcy (if that’s at all possible) in the face of days where they’re run ragged by the demands of both the chidren and the system they’re stuck with. Cretton is clever enough not to criticise the system and its failings directly, either in relation to the staff or the children, but he does throw in some well aimed barbs that hit home with stunning accuracy. Also, he takes the issue of parental abuse and makes sure that there is no attempt to understand or condone such abuse, or to put it into a context that might offer an excuse for it. There are broader issues here that could have been addressed, but Cretton leaves them be in order to concentrate on the terrible trials endured on a daily basis by a still traumatised young woman and a devalued teenager. And it’s the best decision he could have made by far. On 7 August 2014 I posted a review of the documentary, Lost for Life. It was a movie that I’d discovered by accident, but it looked interesting, and the subject matter – a look at five teen killers and whether they should be forgiven for their homicidal actions – was certainly compelling. I watched the movie and found it both horrific and uplifting in equal measure. Over time, Lost for Life has become thedullwoodexperiment‘s most viewed post. It’s also the post I’ve had the most feedback about. A lot of that feedback has concerned Jacob Ind (see picture below), whose story makes up the second part of the movie. Along with his brother Charles, Jacob was regularly abused by his mother and stepfather, both physically and emotionally, and he had nursed ideas of killing them for two or three years before they were murdered. 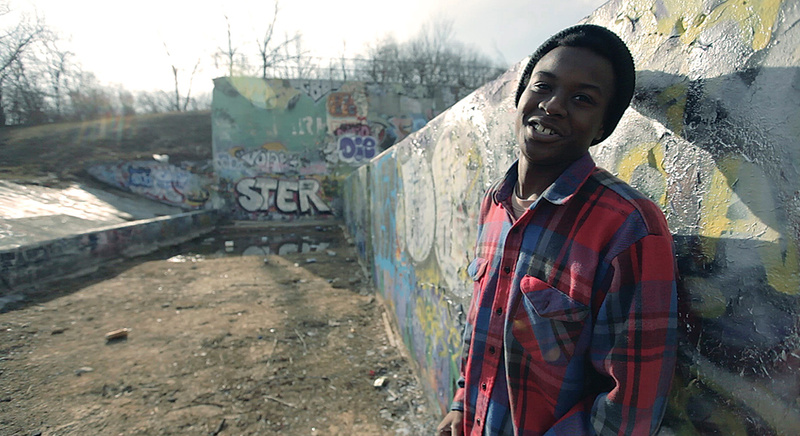 His defenders state that his actions were the result of the abuse he’d suffered, but what helps to muddy the waters for anyone paying even the slightest attention to Jacob’s case, is his decision to persuade a classmate, Gabrial Adams to kill his parents for him (and for $2,000 Jacob didn’t have). A loner, Adams botched the job, and Jacob took over from him, successfully shooting and killing Pamela and Kermode Jordan. In my review, I said that there was “something not quite right about his responses and the moments when he closes his eyes – which happen quite a lot – it’s as if he’s reliving the memories of killing his mother and stepfather”. Having watched the movie again, I still have that same feeling, that Jacob is so divorced from the concepts of personal responsibility and guilt that it’s all a puzzle to him – and one he has no interest in trying to decipher. Looking further into all the surrounding arguments I found a quote made by Jacob after the killings: “I thought that when they were gone, my whole world was going to be better. I thought all the weight was going to be off my shoulders, all the misery would be gone. But it wasn’t, and I said, ‘Man, I screwed up. '” Reading this, it’s not hard to think that Jacob’s only regret is that he didn’t get away with it. 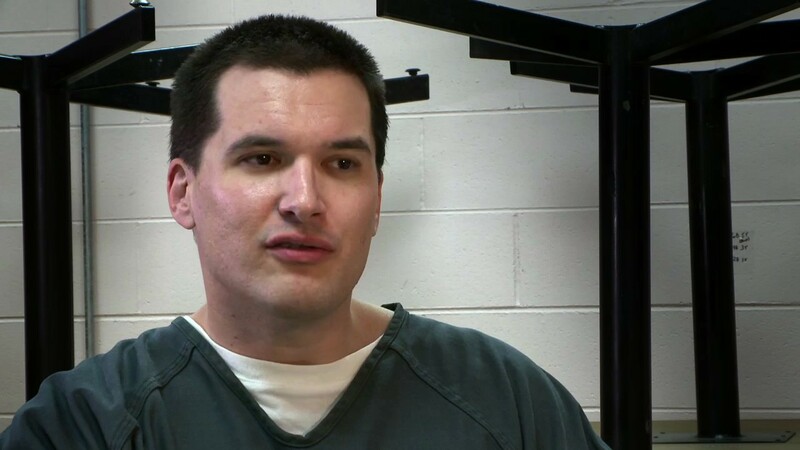 The person I most felt sorry for was Josiah Ivy (see picture below), an abused teenager whose level of disconnection from those around him prompted him to kill two strangers “just to see what it felt like”. Josiah suffered abuse as a child, but where Jacob Ind looks unfazed and unconcerned by his crime, Josiah looks adrift in his own mind, a victim of mental ill health who’ll never quite manage to acclimatise to society (even if by some miracle he’s ever allowed out). 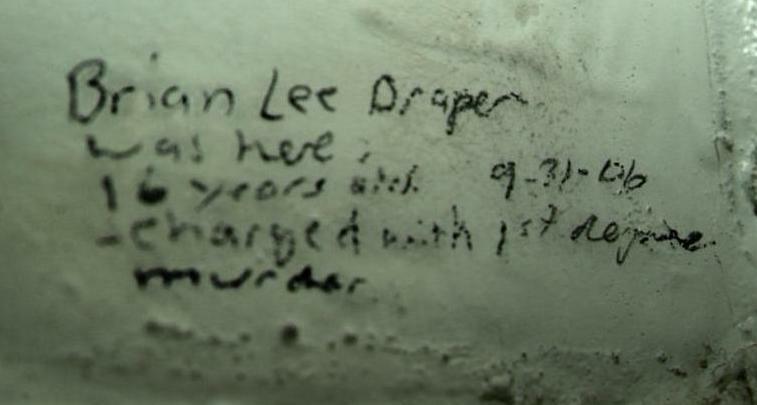 Josiah, like Jacob and co-murderers Brian Lee Draper and Torey Adamczik, has an awareness of the magnitude of what he’s done, but it seems so overwhelming to him he doesn’t know how to properly express himself. Of course, the question of individual responsibility is one the movie tackles throughout, and whether or not the teen killers in question were cognisant of what they were doing at the time. Some commentators argue that teenage minds aren’t as sharply defined in their thinking as an adult’s, but to me that’s a specious argument; everyone learns from an early age that it’s wrong to kill someone, but it’s an awareness that means nothing when placed up against a greater driver: that person’s level of self-interest. Aside from the final story involving ex-gang member Sean Taylor, whose random firing of a gun led to the death of a rival gang member, these are all stories of teens who deliberately set out to kill someone: random strangers, a friend, family members. You could argue that the victims were “convenient”, such was their murderers’ feelings about them at the time, and such was the brutality levelled at them. The question isn’t whether or not we should feel sorry for them – clearly the answer is No – nor is it whether they should be given a second chance as adults. The real question is how can we stop these types of killings from happening again. Murder in any form is abhorrent, but what Joshua Rofé’s thought-provoking movie also does is to make the viewer doubt whether or not murder is ever so clear-cut. 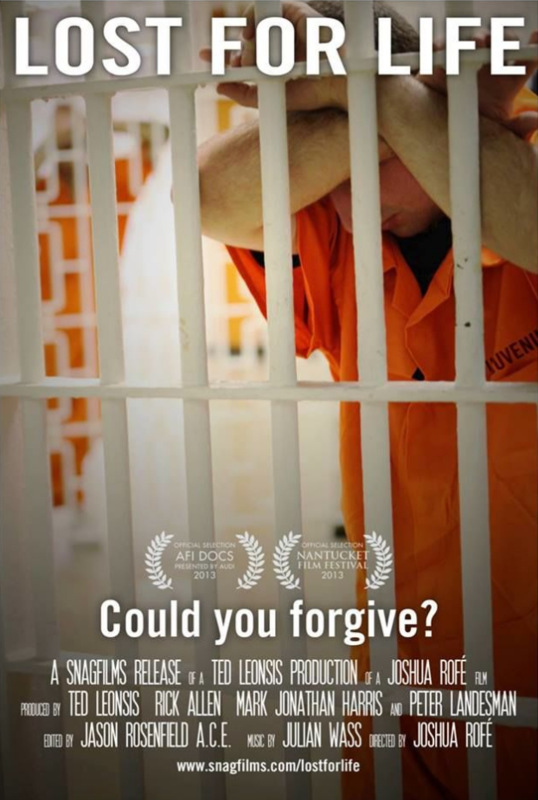 By focusing on three such horrific cases – Taylor’s story acts as a necessary rebuttal to the idea that rehabilitation is a waste of time – the movie broaches the possibility that murder can be understood and forgiven, even murders as heinous as the ones recorded here. This is true, but it’s down to the individual to decide, and is a brave choice to make with such an emotive issue. This is why the participation of Jennifer Bishop-Jenkins and Sharletta Evans is so important: without them (and Taylor) the movie would be unremittingly bleak, and wouldn’t fairly reflect the ways in which the human spirit can overcome the darkness that often blights people’s lives (it’s all about personal empowerment, but that’s a whole different movie). At this moment in time, Draper, Adamczik, Ind and Ivy are all still in prison, and all still living out their very steep sentences. 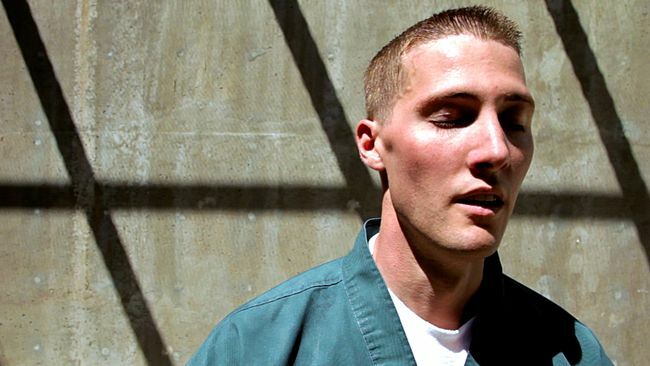 Ind’s accomplice, Gabrial Adams committed suicide in prison in March 2014, while the families of the victims still struggle to come to terms with what happened to their loved ones, and why. But again, the why is the easy bit: it’s because Draper, Adamczik, Ind and Ivy all wanted to do what they did. For the underlying reasons that drove them to murder, well, those are things we’re never likely to know for definite – but it would be fascinating if we did. Calvary opens with a confession, not of sins committed, but of a sin to be carried out. The priest hearing the confession, Father Lavelle (Gleeson), is flippant at first, then astounded as the proposed sin is murder, and the victim will be himself. The parishioner was abused as a child by another priest (now dead) and wants his revenge; what better way to offend God than to kill a good priest, rather than a bad one? It’s a powerful opening, and one that is bookended by an equally powerful conclusion. What occurs in between, in the week leading up to the proposed murder, is often wryly humorous, sometimes emotionally uplifting, occasionally absurd, but alas, rarely convincing. But while Father Lavelle continually fails to understand or support his parishioners – wife-beater and butcher Jack (O”Dowd), his errant wife Veronica (O’Rourke) and her lover Simon (De Bankolé), local businessman Fitzgerald (Moran), angry doctor Frank Harte (Gillen), local policeman Inspector Stanton (Lydon) and his rent boy lover Leo (Sharpe) – the audience is left wondering just how he managed to become a priest in the first place. The number of ways in which he misunderstands the villagers is increasingly impressive, but becomes tiring after a (very short) while, so when he comforts the widow (Croze) of a French tourist who’s been killed in a car accident, it’s great to find he can be appropriately sympathetic and contrite (the movie has several quiet moments like this one, but it’s by far the most effective). 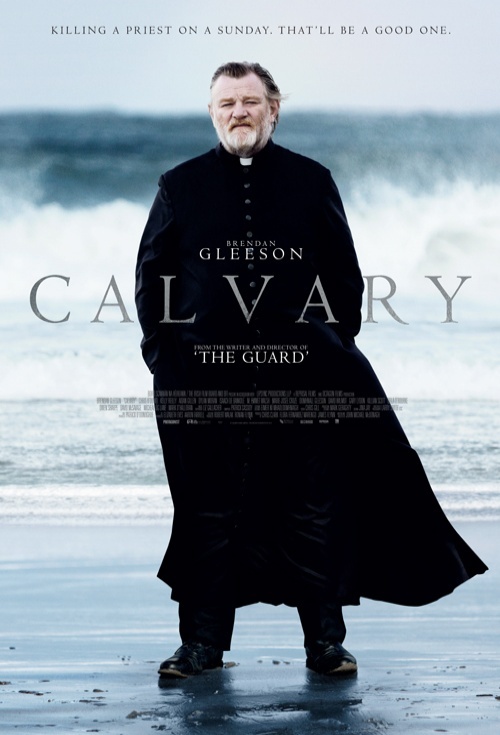 As events conspire to push Lavelle closer to the edge of a breakdown, and violence becomes a bitter factor in his involvement with the village, Calvary becomes a much darker movie and one that seems determined to offer no ray of hope for its embattled cleric. Gleeson is a perfect choice for the dour, embittered character he portrays, a man who has come late to the priesthood, and now finds himself the target of someone’s hatred of the institution he represents. In the hands of director and screenwriter McDonagh, this premise should have been the basis for a trenchant examination of faith, responsibility and social exclusion. What it serves up instead is a treatise on bad decisions and atonement, with unresolved guilt as a side order. Aside from the village’s odd assortment of inhabitants, there’s little in terms of the drama taking place that we haven’t seen before (and with more sharply defined characters). 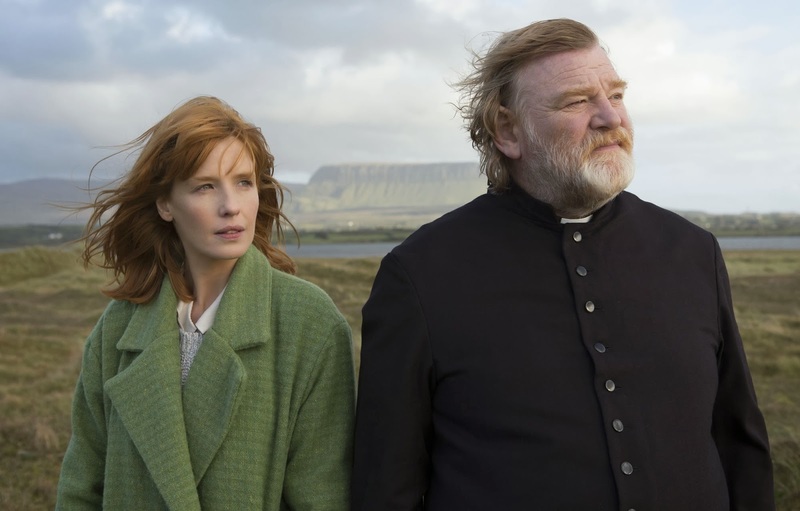 It’s not that Calvary is a bad film per se, just that it promises much more than it delivers. Rating: 7/10 – strong performances and beautiful location photography side, Calvary doesn’t quite draw the audience in as planned; still worth watching though as there are few movies out there that take these kind of risks with both the material and its performances. In 2004, and finding himself at a bit of a loss as to what to do after losing his job as a Labour government advisor, ex-journalist Martin Sixsmith (Coogan) is approached by the daughter of Philomena Lee (Dench) who suggests he writes a story about her. Fifty years before, Philomena was forced to give up her baby boy, Anthony, by the nuns she was staying with at Sean Ross Abbey in Roscrea. She has been trying to find him ever since but the nuns have always said they are unable to provide any information as to his whereabouts. Intrigued, Sixsmith agrees to pursue the story after he meets Philomena, and they travel to Roscrea to see if they can find out anything further. Advised by Mother Barbara (McCabe) that the records relating to Philomena were lost in a fire, they later discover that the records were destroyed by the nuns in a bonfire. They also learn that the nuns were selling the children under their care, and mostly to Americans. Martin and Philomena follow Anthony’s trail to the US. Through Martin’s contacts, he discovers that Anthony was adopted by Doc and Marge Hess, and that they renamed him Michael; they also adopted another child, Mary, the daughter of one of Philomena’s friends at the abbey. Michael grew up to be a lawyer and senior official in both the Reagan and Bush administrations, but sadly, he died in 1995. Philomena decides she wants to meet some of the people who knew Michael, including his adopted sister, Mary (Winningham). This leads to revelations about Michael’s life, and his death, that lead Philomena and Martin back to Roscrea. With such an emotive subject, the script by Coogan and Jeff Pope, combines drama and humour and outrage in (nearly) equal measure. 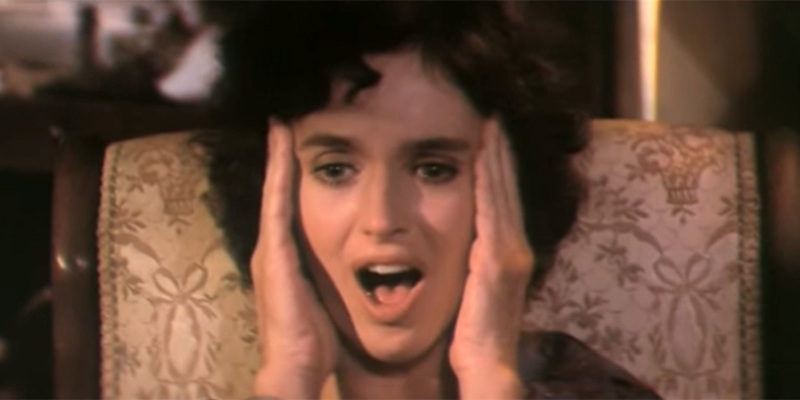 The early scenes, showing some of the experiences the young Philomena (Clark) endured at the abbey are quite disturbing, and while we’ve seen a more systematic, and horrifying, appraisal of this type of religious “care” in Peter Mullen’s The Magdalene Sisters, they’re still distressing enough to get across the unfeeling and harsh approach of the nuns to the young women’s “sin of fornication”. As their attempts to find out what happened to Anthony are blocked by the nuns, the movie deftly sidesteps the wider issue of Church-sanctioned neglect, and focuses on Philomena’s story instead. It’s a wise move, and allows the movie to progress almost as a mystery, with discoveries made that add to the depth of the nuns’ deception. Once in the US, the script adds elements of Philomena’s naïveté, at the same time as revealing she knows more about certain subjects than might be expected. While there’s a certain amount of gentle mockery in these moments – she refers to several people as being “one in a million” – they’re offset by Philomena’s certainty in her own behaviour and outlook. 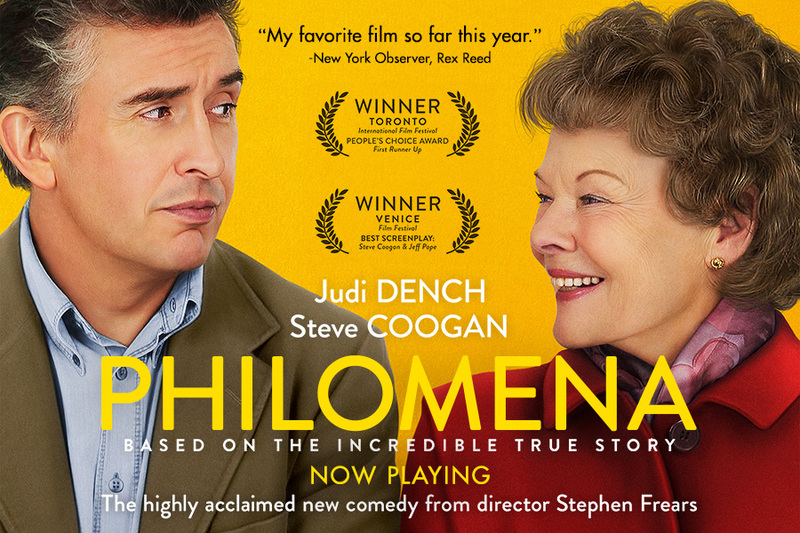 As played by Dench, Philomena is by turns, sad, angry, resourceful, determined, resigned, grieving, and ultimately, quite heroic. There are several moments where Dench, in close-up, displays a range of emotions, and the viewer is left in no doubt as to what those emotions are, thanks to Dench’s skill as an actress. There’s not one false note in her whole performance. Thankfully, she’s matched by Coogan, whose performance begins more as a comic turn but soon develops into a dramatic one, his character finding his way into the story more and more and becoming as determined to discover the truth as Philomena. As depicted here, Sixsmith is a bit ill-mannered, very dismissive of religion, and at times, manipulative. His attitude compliments the more open and receptive nature that Philomena displays, and as a “team” their respective strengths make them both resourceful and disarming. As they discover more and more about Michael, their reactions compliment each other as well. 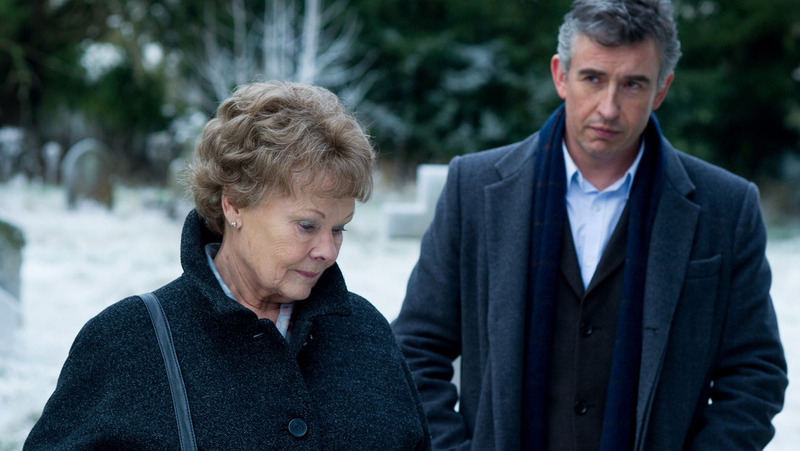 Philomena is also buoyed up by confident, often impressive direction courtesy of Stephen Frears. Frears is one of the most consistently thought-provoking directors working today, and he’s particularly good at taking complex material and making it accessible to audiences. He’s helped here by the script, and by the wonderful performances, and orchestrates the various developments with great skill, making Philomena a particular pleasure to watch. In many ways, it’s British filmmaking at its best: thoughtful, intelligent, humorous, well-mounted and inspiring. Rating: 9/10 – aside from some deviations to the actual course of events, Philomena is a poignant, uplifting tale that can raise a tear as often as a smile; a triumph for all concerned and entirely deserving of the awards it’s won so far.